During the final presentations concluding the two-day Global Compact for Safe, Orderly and Regular Migration (GCM), assuring voices were heard on the future of migration, while also trying to counter misinformation about the content of the GCM document. “We came here with a clear goal and we have achieved it,” says María Fernanda Espinosa Garcés, President of the United Nations General Assembly. Nasser Bourita, Morocco’s Foreign Affairs Minister and also President of the GCM Conference, declared that the GCM has “breathed new life” into the migration issue, while acknowledging it still remains for the Compact to be implemented by U.N. Member States. 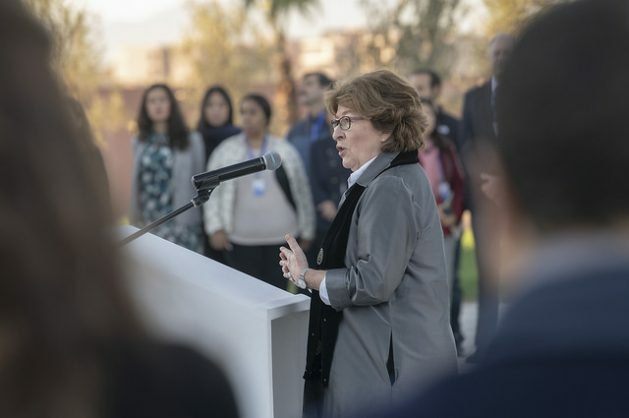 Louise Arbour, the U.N. Special Representative for International Migration, urged those who were still sceptical of the Compact to reread it, very carefully, and form their own opinion, taking heed of the U.N. Secretary-General’s points about dispelling the myths surrounding the overall issue of migration. “For the first time in the history of the United Nations, we have been able to tackle an issue that was long seen as out of bounds for a truly concerted global effort,” says Arbour, noting that there is probably no principle more fundamental in international affairs than the geographic allocation of space on the planet, confirmed by the universal recognition of State sovereignty. Inter-governmental consultations are expected to continue up to Dec. 19, when the Compact will formally be adopted. Then it will be reviewed every four years, starting in 2022. “The Global Compact for Migration is a new promise and history will be the judge,” Bourita says. This story was brought to you by IPS with support from the United Nations Foundation . IPS organized capacity building workshops for media in Marrakech.